Matrix is a leading EPABX manufacture from INDIA with over 25 years ofEPABX experience. One of the most respected EPABX brand in India, Matrix EPABX is the market leader for over a decade in analog/Digital EPABX systems upto 1 to 1000 line Extensions. With our consistent focus on globally hit trend, we proudly introduce a wide assortment of Accord EPABX System. 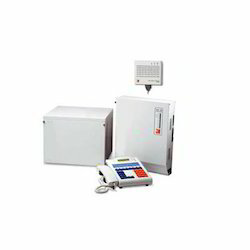 Offered system is accessible in diverse specifications to choose from. Our system help in power failure transfer with discriminate ringing technology. 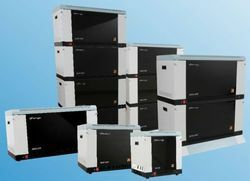 At vendor’s end, this system is manufactured utilizing high grade material and current techniques keeping pace with current market standards. Also, our system is examined by quality controllers in order to make certain a defect free production. We have been ranked as the most dependable and leading firm all over the globe and actively emerged in providing Matrix EPABX System. The system offered by us is obtainable in varied specifications as per the variegated demand of our clientele. At vendor base, this system is developed using topmost grade material and sophisticated technology in conformity with the certified norms. Offered system is well checked against the diverse parameters of quality before supplying to clientele. Panasonic KX-TES 824 Advanced Hybrid PBX System can cost effectively support all your personal and business communication needs. The system supports 8 outside (CO) lines and 16 Hybrid and 8 SLT Extensions. This system provides features that can satisfy the demands of the most sophisticated and cost conscious users. You can even connect a variety of communication devices, such as cordless phones, answering machines, computer modems, credit card verifiers, fax machines, and any other device that works with conventional telephone lines. We are backed by a team of highly trained experts and are successfully providing EPABX Amc. The offered systems are developed by excellent quality raw material and modern techniques with set universal norms. Our systems are tested against assorted parameters of quality for ensuring the perfect deliveries. Moreover, these systems can also be customized as per different specifications for our prestigious customers. 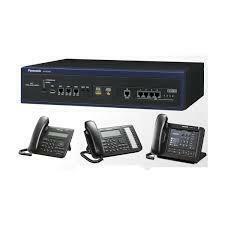 Panasonic pbx intercom System can cost effectively support all your personal and business communication needs. The system supports 3 outside (CO) lines and 4 Hybrid and 4 SLT Extensions. This system provides features that can satisfy the demands of the most sophisticated and cost conscious users. You can even connect a variety of communication devices, such as cordless phones, answering machines, computer modems, credit card verifiers, machines, and any other device that works with conventional telephone lines. 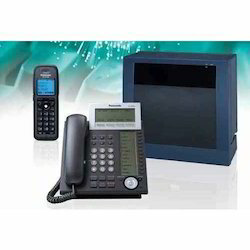 matrix digital voip ipebx system highly admired in the market due to their attributes such as easy to operate, easy to install and strong nature. Moreover, to maintain the quality, our professionals also inspect these products at industry norms. In addition, our offered products are accessible at market leading prices. 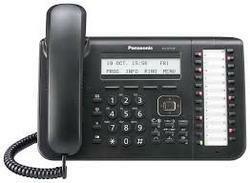 Panasonic EPABX KX-TES 824BX Advanced Hybrid System with 3 Lines* 8 Extensions (Expandable UPTO 8 line to 24 extn.). Looking for Epabx Systems ?